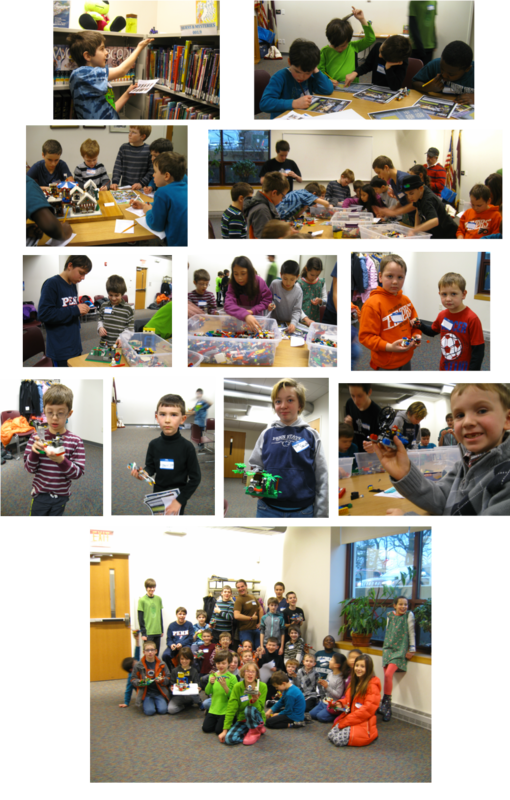 November 22, 2015: We didn't do regular meetings in July or September, but here are pictures from our last meeting this year, where the theme was one of the kids' favorites: Star Wars! Encouraged to build anything related to Star Wars, they outdid themselves! Thanks for coming everyone and to the parents who stayed as well - we had a full house! May 3, 2015: We had so much fun celebrating the new Avengers movie! 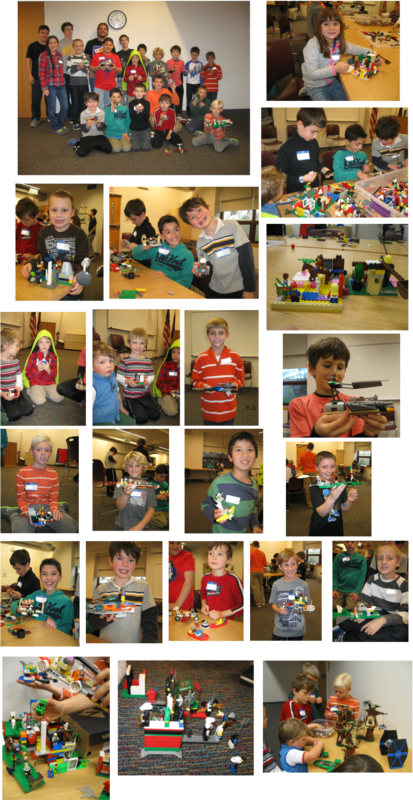 Kids built some fun gadgets, super-hero scenes and transportation! 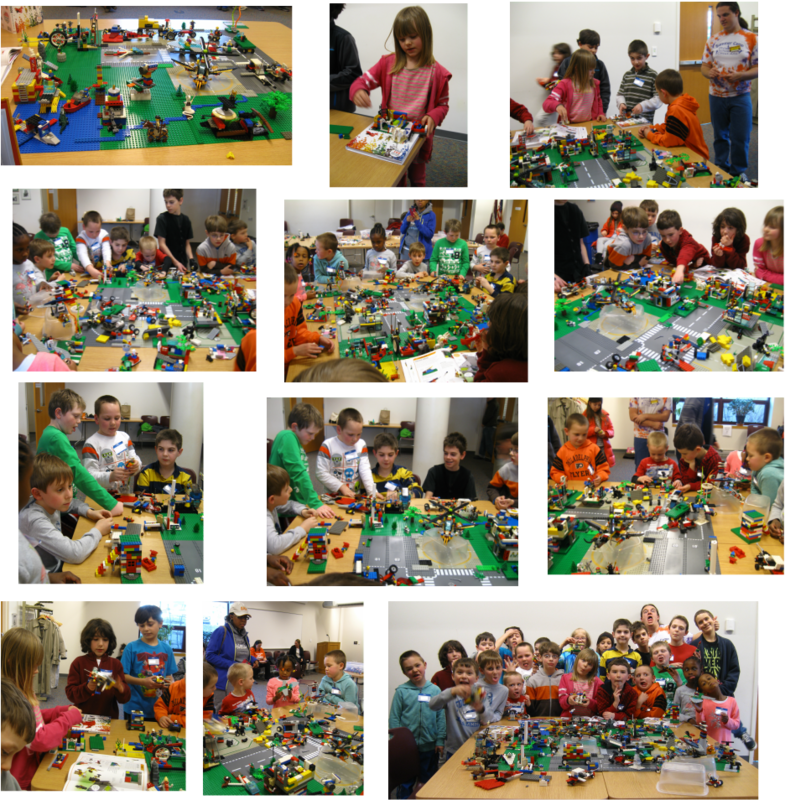 March 2015 - Brickopolis! We built a dream city! Another big crowd! Thanks to everyone who came out to help us build. We had all sorts of creative items - vehicles and buildings - in the dream city. Check out the pictures below! All the kids made creative faces to show how much fun they had! Some of the MOCs are still on display in the library - stop in the children's section to see them! January 2015 - First meeting of the Year: Secret Agents and Spies! We had a quite a crowd! Attendees used all their skills to locate the secret agents hiding in the children's section of the library; to decode the secret messages; and to find all the hidden objects in the village scene! Then they built secret agent tools, vehicles and hideouts - some of which are on display in the library! Check it out if you stop by!